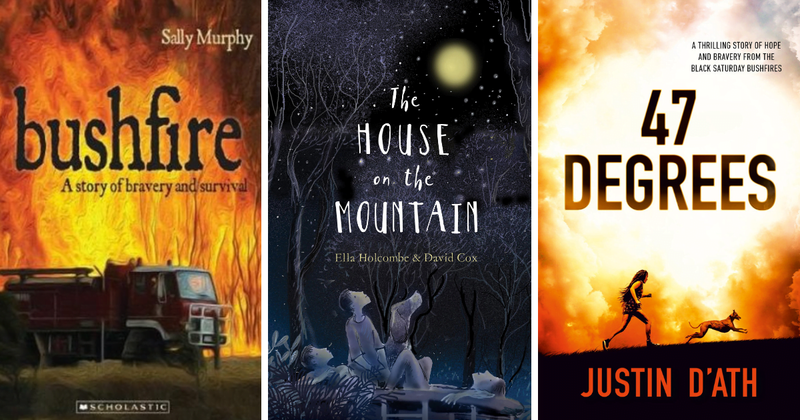 With this month’s tenth anniversary of the Black Saturday fires, it might be the right time to share one of these intensely moving stories with your children. They speak of survival, of the beautiful yet sometimes harsh reality of the Australian bush, and ultimately, of hope and regrowth. Often based on first hand experiences – author of the powerful The House on the Mountain Ella Holcombe lost her parents, dog and childhood home in the tragedy and Justin D’Ath was also caught in the fires on that tragic day – these stories will stay with you long after you’ve finished reading them. Zeelie wonders if they’re in danger. When temperatures soar to 47 degrees one hot summer day, 12-year-old Zeelie hopes the nearby bushfires everyone’s talking about aren’t heading towards her family’s new home. What will they do if the wind changes direction? What about their belongings and their beloved pets? And why hasn’t her mum and brother returned from Melbourne? The fire awoke like a dragon. Its flames licked the sky, and smoke veiled the sun. With a hungry crackle and an angry hiss, the cruel beast circled, trapping them.Until, through the smoke, knights appeared.